What Forms of Payment Does Webati Accept? Home » What Forms of Payment Does Webati Accept? When it comes to paying for the services of Webati, this San Jose web design firm offers multiple payment methods for you to choose from. For example, this San Jose web design firm accepts all major credit cards, from American Express to Discover to Visa. Additionally, they also accept debit cards. 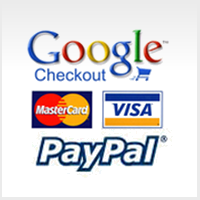 Other forms of payment that this San Jose web design firm accepts include Google Checkout and Paypal, and both of these payment options will allow you to pay via check. You may rest assured that their website maintains the highest level of, and most technologically advanced, encryption software to ensure that your information remains private and secure. However, if you are not comfortable with paying for their services over the Internet, then they offer the option of paying over the telephone or paying via other options if needed. When you choose Webati to perform your San Jose web design, then you can rest assured that you are choosing the best.